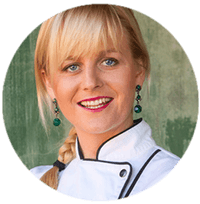 After graduating from Christina Martin School of Food and Wine I spent a year working at Mount Grace Hotel and Spa in the Magaliesberg. My intention was to dedicate the first 10 years of my career to working at 10 different properties/restaurants in order to gain as much experience as possible. My first job worked out as planned – one year to the day – but that was where my carefully thought-out strategy came to an end... and a happy 11 years at Hartford House in the KZN Midlands began. Mrs M emailed me a few years back to let me know she was visiting family in the Midlands and that she was inviting herself for a few meals. I was so excited - and honoured - to have a person of her stature wanting to experience my efforts. She walked in; took one look at me; and announced 'now that is a face I will always remember'. My heart beamed. Over the following few days she ate the most she had eaten in years – so she said. And I believe her because her head chef Peter Tempelhoff told me so. Thereafter we enjoyed many long chats that lasted for hours on end. She was opposed to my opening a school because 'chefs aren't good business people and should be left to do what they do best - and that is being creative'. In response I would say: 'I shall prove you wrong Mrs M.' She would repeat herself and smile. "Congratulations Jackie! I know that your new school will be a great success and I look forward to employing some of your graduates at The Collection by Liz McGrath sometime in the future. "Thank you for your warm wishes Mrs M! They mean the world to me. I have such fond memories of cooking for you… truly one of the highlights of my career. You inspire me to reach great heights and I thank you for this. Please keep in touch. I cannot wait for some of my students to work in your kitchens. It would be the ultimate compliment." Liz McGrath - one of a few women in the world to own three hotels, all of which are members of the prestigious Relais & Châteaux group - died on Saturday January 24, 2015. She will be deeply missed by all she touched.